The Moto X isn't going anywhere, apparently. Does the arrival of the Moto Z mean the end for the Moto X? 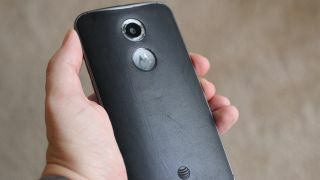 Not necessarily, according to a statement provided by Lenovo-owned Motorola to Android Police. In it the company says the Moto X is "alive and well" so it doesn't sound like it'll be disappearing just yet. "Moto X and Moto Z do share some great qualities, but they ultimately provide different experiences and make our portfolio more robust for consumers looking for the perfect smartphone to fit their needs," said the statement. With its high-end specs and MotoMod accessories, it's obvious that the Moto Z is the flagship handset that Motorola/Lenovo is promoting for users who want a premium experience, but the Moto X could live on as a high-to-mid-ranger. The brief response issued by Motorola mentioned the launch of the Moto X Force in October last year as a sign that the X line isn't going anywhere - but it stopped short of promising that there definitely would be new Moto X-branded hardware in the future. Perhaps the Moto X and Moto Z will continue to develop alongside each other or perhaps the availability of the two ranges will depend on where you happen to be in the world. The letter Y is still free - maybe Lenovo has plans for yet another line of phones offering something different to consumers. All that is unclear, but at least we know that Motorola/Lenovo won't be binning the Moto X name yet - that's not something you do to a brand that's "alive and well". It's also possible that company execs are waiting to see how the market reacts to the Moto Z before deciding on a way forward.